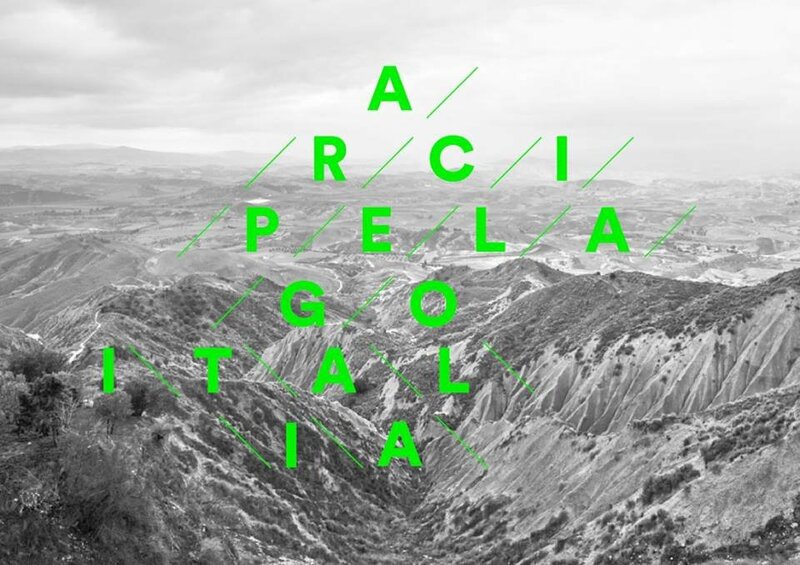 through arcipelago italia, cucinella has carried out an explorative journey, a reconnaissance of italy‘s inner areas, placing particular focus on a series of sites and projects, as well as architecture and cultural socialization procedures that involve the territory’s participation, and that are always equipped with a vision in regards to the determination of the future of the human landscapes, one that presents itself through good practices, actions based on networking strategies, open regenerative process-oriented approaches, and re-innovative ideas which may prove themselves to be capable of responsibly tackling the theme of enhancement and reclaiming of the environmental, landscape-related, cultural and social heritage. the sites aren’t enough in and of themselves, and there is no future for the heritage if the people don’t operate towards that goal: the future is the product of present actions. 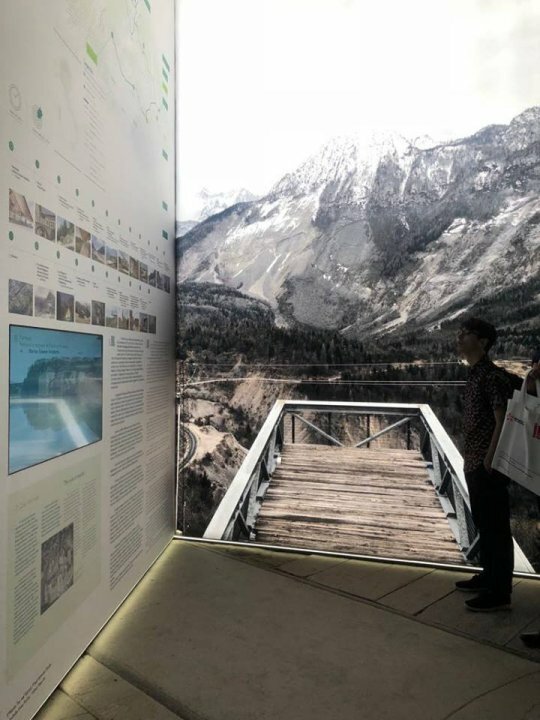 the call for the italian pavillion was answered by more than 500 projecs, 67 of which have eventually been selected by the curator, and find now a home at the tese delle vergini at the arsenale. 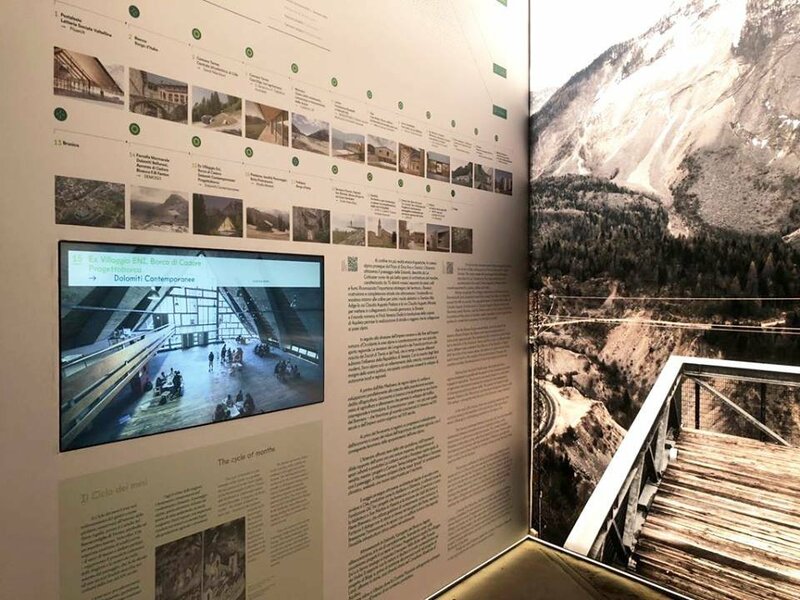 among them is dolomiti contemporanee, inside the itinerary dedicated to the eastern alps. a great photograph of vajont’s mt. 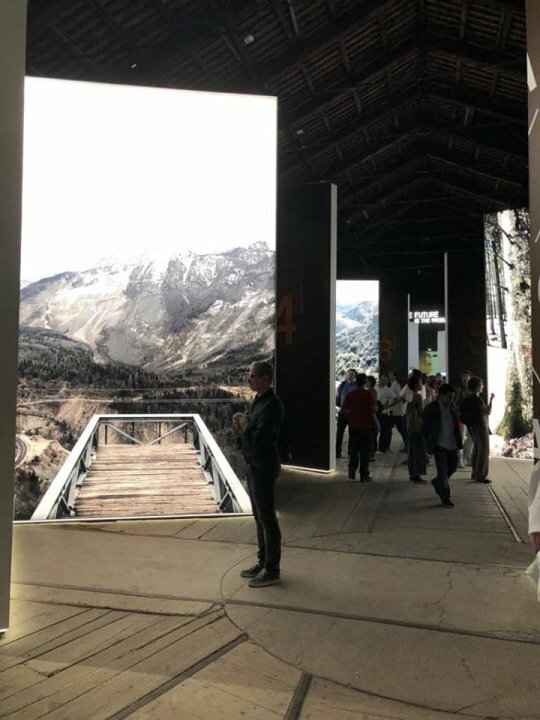 toc (by isabella sassi farìas), sighted from the nuovo spazio di casso, welcomes visitors at the entrance of the pavillion. the exhibit will remain open until november 25th 2018.